Building on the success of the first Rx amplifier, ALO has released a Mark-Two version of its popular Rx portable amplifier. 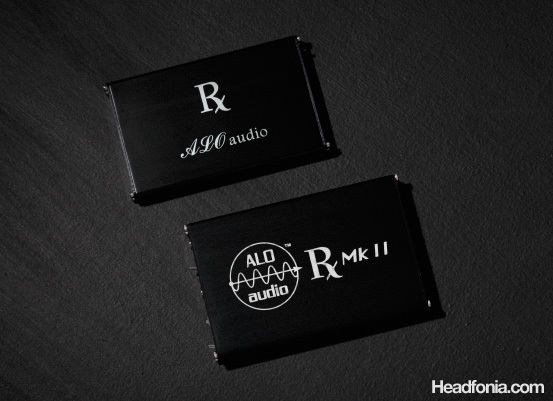 The ALO Audio Rx Mk2 amplifier still carries mostly the same sound signature as the first. Of course every sound signature has their own fanbase, and likewise the Mk2 will continue to sound good to people who enjoyed the original Rx. One of the most impressive aspect of the Rx, that is its superb bass impact even when driving big headphones, remains a strong feature on the Mk2. The orignal Rx on top, Mk2 on bottom. Another angle of the Rx amps. The change to a bigger sized enclosure seems to contradict the current trend of miniaturization. 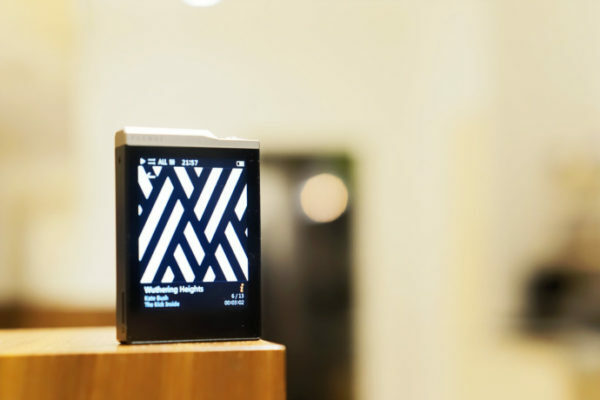 The first Rx had a perfect footprint to match the dimension of a typical Ipod, but the newer one is bigger and heavier. The decision to go bigger is to accommodate the bigger batteries and to match the footprint of the CypherLabs Solo transport. The change of dimension probably won’t matter as much as the added weight of the new version. With the pack in my pocket, the new amp and an Ipod feel significantly heavier than if I was carrying the original Rx. Of course, the new hairline finish anodized finishing looks much classier than the first version, so the change on that part is very much welcome. Another welcome change is the addition of a lo/hi gain switch in the front panel. 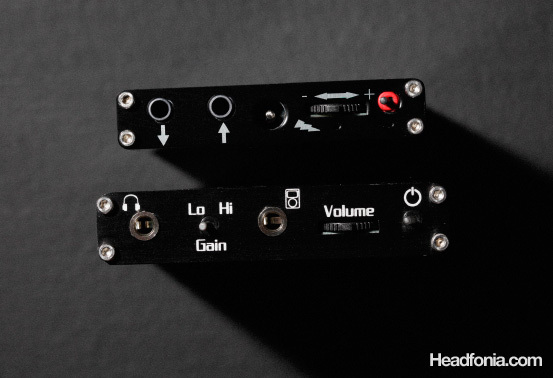 As one of the few ultra-powerful portable amps in the market that can conveniently drive full-size headphones like the Sennheiser HD800 or Audez’e LCD-2, the gain switch makes it convenient to switch from using an IEM to a big fullsize. The low gain setting is noticeably more refined, has a better separation, and a blacker background than the high gain setting. So it’s important to keep the amp on low gain whenever you can. The high gain, on the other hand, is very powerful as I use it with big full size headphones like the LCD-2 and the HD800 (although don’t expect them to match a decent powered desktop). Having mostly the same sound signature as the original Rx, the question of “is it worth upgrading?” would be asked by most of the original Rx owners. Comparing the two amplifiers, the new amp has a slightly larger soundstage, a bit more forward presentation, and a little more bass presence. Not only is there more bass quantity, but the punch is also stronger, especially when driving fullsize headphones like the LCD-2. The Mk2 is one of the punchiest portable amplifier around. The new amplifier is also slightly smoother and more refined. Both are less refined at high gain, and with sensitive IEMs like the JH16Pro, you can tell that the separation is less clean on high gain, and the signal more noisy. Of course, most amps exhibit the same “problem” on high gain setting, so it’s understandable if the Rx-es also have this issue. The Rx has always been a superb portable amp, and the Mk2 will undoubtedly be another favorite. If you are looking for a portable amplifier, the Rx would be one of the amplifiers that I recommend. However, as with any audio gears, it would be best if you can find a local store that offers auditions to see if the signature matches your music. The ALO Rx Mk2 portable amplifier can be purchased directly at ALO Audio. For a preview of the Cypher Labs AlgoRhythm Solo, which will be the first portable Ipod Transport, please go here. i am intrigued by you mentioning this cypher labs solo… what does it do? is it some sort of like the wadia itransport only portable? Hi Mike, have you compared mk2 with sr71a? Hi Zuqi, I haven't come across the SR71a in ages. I guess the interest for the SR71a dies down when the new generation amplifiers (Rx/TTVJ Slim) comes out with digital volume controls, slim size, and rechargeable batteries. Not saying that the SR71a is inferior in sound quality, but these days, the lack of features and the big size of the SR71a kind of kills people's interest in it. Thanks, Peter. I'd definitely enjoy doing the comparison. The SR71a is one of the first amps that I truly enjoy. Hi, would u be able to advise how long does RX MK II goes per charge? Around 10 hours plus minus. Today had a chance to finally listen to the ALO Rx MKII…along with trying out the Pico DAC / portable amp (which I had been looking to try for the longest time). Now this just may be me, but I between the two…they were driving my Sennheiser HD-25-1 II’s (and a pair of Beyerdynamic T5p that the store allowed me to try as well) about the same. By that I mean bass levels tended to be on-par, not heavy but certainly present and punchy…and soundstage was probably about the same . Listening to Buena Vista Social Club’s studio album and the song “Candela”, I felt the RX MKII probably brought out the vocals better than the pico…but not by much. I am still deciding between the two, but I would like to say my ears are probably not as experienced as individuals here, so would be interested to hear others thoughts on these two amps. If yes, then the Pico is mostly known for its fuller mids, very warm tonality, very analog sound. 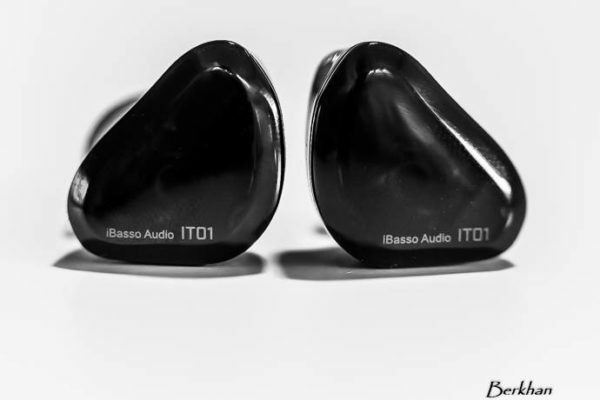 Where the Rx is more about bass impact, spacious soundstage, and very clean sound. How is this vs the Pico Slim would say for a highly sensitive Custom IEM such as the Heir Audio 8.A with a sweet midrange that is lush and cohesive? Both amps are good, but not quite the sweet and lush midrange type. Try the RSA mustang instead. Oh no, I meant I’m purchasing a CIEM with a sweet and lush midrange already. I was wondering if that would compliment the neutral tone of the Pico Slim and RK MKii. Also, I current have the C421 and as I purchase my Heir Audio 8.A (which has a very solid bass, one of the best apparently, and a very nice midrange though not necessarily forward nor recessed). 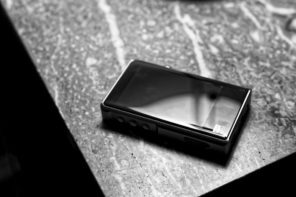 Is it worth it to upgrade to either the Pico Slim or RX MKii? 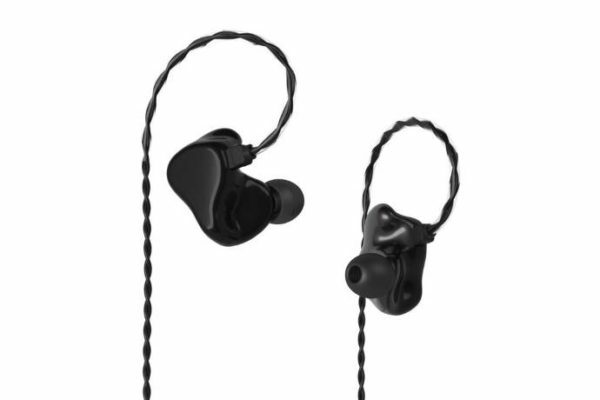 I really can’t say, since I have never listened to the Heir Audio CIEM. How is the pairing with the C421? I wish I could say. I haven’t purchased it yet (but will as soon as I get the money) but I’m preparing the support (the amplifier etc.) for it. So in general would you give the edge to the Pico Slim or the RX MKII for solely IEM use? The Pico Slim was a great match with the JHs. Other than that a lot of people find the Pico to be quite bland in the sound (and I do agree). The RSA Shadow perhaps makes for a better pairing with a wider range of IEMs. How would you say the ALO RX MKii stacks up against the Meier Corda 2Stepdance? I’ve never auditioned the 2Stepdance. Is there any changes in sound from the original Stepdance? Not really sure. Read comments, but surprisingly there have been no extensive reviews on it. Actually, I’ve seen none of the 2Stepdance while the few comments I have seen praise it for it’s technology and its qualities. I mean you’d think something that imitates balanced output while still being a single ended output would gather more attention! Haha, I’ve read almost all your portable amp reviews, several times… 😛 Great comparisons. Is it worth adding in the Algorhythm Solo if you already have a RWA iMod and the ALO RX MKii. Primarily will be powering HD-800, Thunderpants, and potentailly HE-6s. I guess I know how much better the Solo accompanies the iPod, but not the iMod. Can the iMod pass through audio of similar quality to iPod + Solo? I have a 5th gen so I think it’s not the best Wolfson DAC. Only about 2/5 of my music utilize the loss less because I listen to a lot of free europe house, etc. I have no problem spending the extra money, but I guess the Solo would basically negate any of the benefits of the iMod vs. iPod, correct? If you feel that there is a better non-balanced amp in about the same form factor for the HD-800, I’ll take your recommendation. I doubt they’ll be able to power my K1Ks, but based on all that I’m reading about these little amps, it might. Hi Mike, Could you please suggest the good amp for Senn HD-25-1 II? I’m looking at ALO RX Mk2 and RSA SR-71B. I dont’ think you would need those. The Alo National would be more than enough. And the synergy with the National would be better as well. You really don’t need much of an amp at all for those cans. I wouldn’t even bother amping those. Even a Total Airhead would be fine. I have a total Bithead and the bass is very loose, Craig. But if Palm wants to save money then yes go for it. It doesn’t sound like his money is tight, but you have to agree that spending a lot of money on a portable amp for HD 25-1 ii is a little bit of overkill. They are considered portable cans for a reason. Yes I know. I did recommend a cheaper amp to him. It is somewhat cheaper but $299 new / $200 used is still pretty pricey. He sounds set on an amp and the National will also give him more scalability if he wants to upgrade cans later. @Mike and Craig, thank you for your references and recommendation. Why I looking at ALO RX Mk2 and RSA SR-71B? Because in the feature, I will buy senn HD650, too. I would like to have the only one amp on hand and I’m very confuse after reading more reviews. Does the Rx MKII pair well with the HD 650?